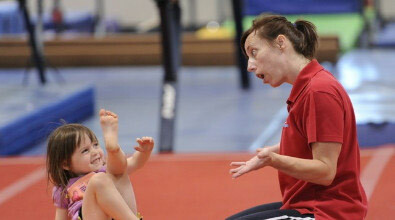 This session is a structured class which allows the child to develop and be able to cope with many aspects of gymnastics. Please remember your child needs to be three years old or older and capable of being taught without parents around. It is a one hour session so make sure they have a drink in reception in case they get thirsty. We recommend a sports pop up style bottle which reception sells if you forget. Children should wear shorts and a t-shirt, with hair neatly tied back and clean hands and feet. The gymnasts are all taught to do forward rolls and if possible the progression to handstands and cartwheels. Then they are put into groups of between 5 and 7 and then they will learn to use: Trampette, Springboard, Vault, Bars, Fast track rebound work & the balance beams. They will each year get the chance to compete within the club and also get the opportunity to work on certificates and badges twice a year. We also do wonderful Gymnastic rosettes which are a wonderful incentive and superb to collect too. For the first class, parents will bring their child to the gym to complete a form with their child’s details and pay for the first trial class. Parents are not permitted in the gym once the class has started. But may be able to watch through the viewing window, but we do ask you to try and not be seen at the window throughout the whole lesson ….they otherwise spend the whole lesson watching you watching them, which can make it difficult for the coaches. We will often have the blind down for the first part of the lesson to allow the children to concentrate, but will lift it later into the session so parents may watch. If after this initial first class, both the child and the parent are happy then payment for whatever remaining weeks are left in the ten week cycle must be paid by the following week. These classes do have waiting lists but the club does try to keep things moving as best we can. These classes are stepping stone classes for older classes that take place later in the day. 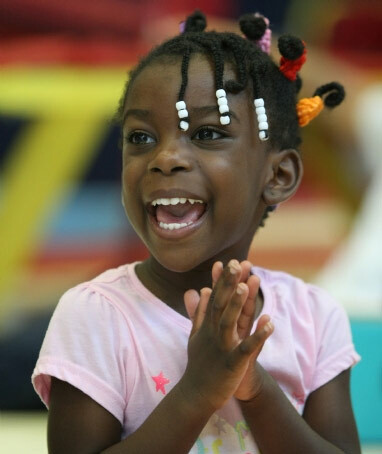 If a child shows potential then they may be selected to attend development classes during the week. Gym Monkeys is very popular and it encourages the child to become more independent in her/his search to find their spatial awareness and balance. All is conducted in an environment of warmth, colour and wall to wall padding like no other club!